For as long as I can remember, I’ve been a seeker. Whether unconscious or consciously, I’ve felt this deep longing in my heart for truth. At this moment, rather than travel more, I’m sitting still. 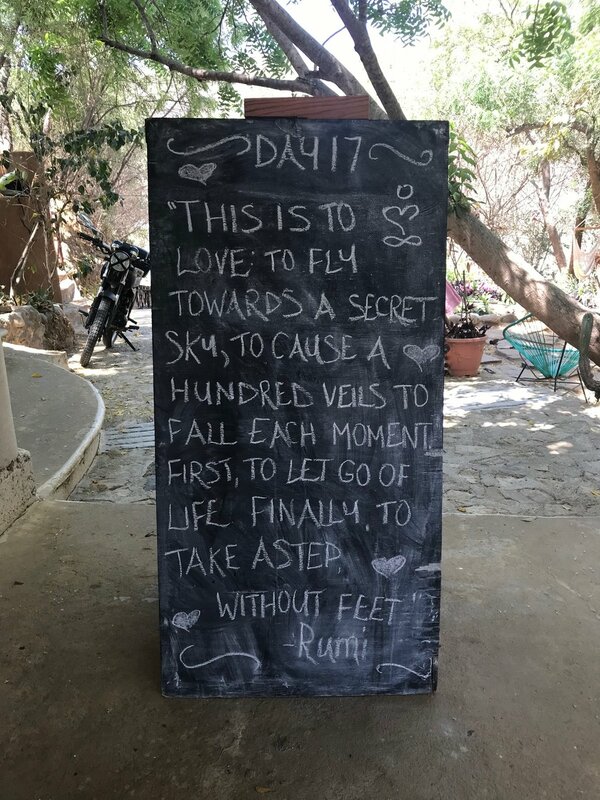 Two months at Hridaya Yoga & Meditation school in Oaxaca, Mexico where I’m taking a deeper look at myself and exploring the mysteries of life. Becoming the laboratory, the scientist and the experiment. Funny thing is the more I sit still, the more I wake up to the absolute wonderment within and all around me. And yet nothing has changed really, it was always there. William Blake wisely wrote, “To see a World in a Grain of Sand and a Heaven in a Wild Flower, Hold Infinity in the palm of your hand and Eternity in an hour.“ What an amazing invitation to fascination. To see the extraordinary in the ordinary, the ordinary in the extraordinary and not to see them as better or different but just expressions of the same infinite life force. The Absolute Truth. Call it God, call it love, call it consciousness, whatever you chose, so many of us are seeking something we can’t name. We look for it in life’s pleasures and yet as soon as the mind thinks it’s “got it”, it hasn’t. It’s not a mental exercise. So what are we doing? Where are we going? And are we “there” yet? Ram Das says, “we’re all just walking eachother home.” And maybe it’s as simple as that. You travel the whole world only to discover that resting place in your own heart. You acquire all of this stuff only to drop it, your identity, personality, belongings, stories, lies. No longer running around chasing the ego’s evergrasping desires. But actually being present with what is. Stillness. Nothingness. Truth. I find myself at another turning point, completing another cycle of letting go. On the outside, it looks like one big adventure but that’s only the tip of the iceberg. There is far more beneath the surface. There are tidal waves in these waters. It’s emotional. I’ve spent the last year “Completing the Hero’s Journey” (<-- see blog post), answering the call to adventure and charging into the unknown. Over the course of the last month and a half, I've been making the return journey down memory lane in a live-in van to see the people and places I’ve called home. And as this sun sets, another sun rises on the next stage called the Heroine’s Journey (<-- not the same as a female Hero's Journey, read Maureen Murdock's article). It is here that I take the plunge, diving deeper into my inner chambers and subconscious on a quest for healing and wholeness. As I take steps into this new realm I often feel clumsy, messy, unruly, flawed, and unacceptable. Combine this with full-time travel, balancing work and relationships and all of a sudden you unearth trigger after trigger. Connected to a host of untrue stories, hidden insecurities, fears, and worries. I have insecurities about the "imperfections" of my body, the frenetic tendencies of my mind, the restlessness of my spirit, and the sensitive unpredictability of my heart. I fear I am an imposter. I fear that I don’t know what I’m doing. I fear that I can’t take care of myself. I worry I’m too much. I worry I’m not good enough. I worry I’m not worthy of love. Such a good reminder to get out of my head and return to the heart. Still, sometimes I feel completely mad like I am on the brink of schizophrenia. 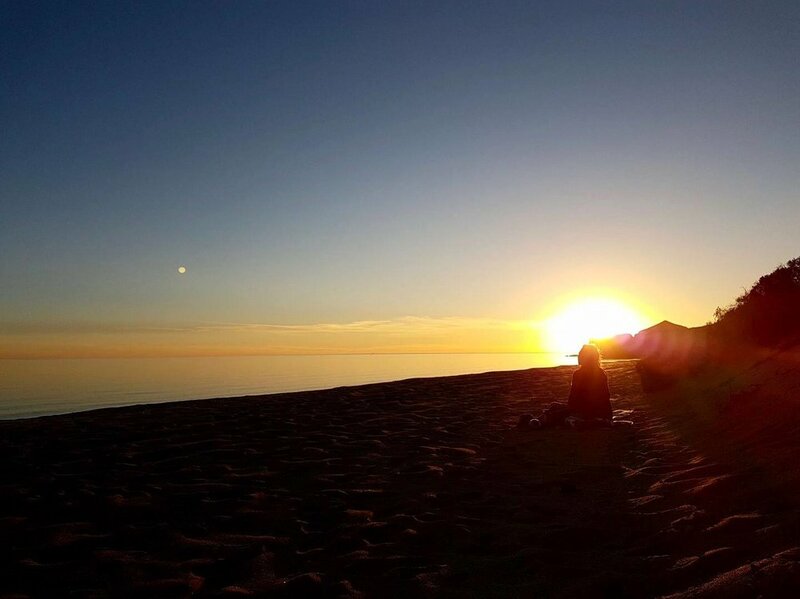 One recent discovery that has provided support was found on a hypnojourney (small group healing hypnosis experience, a bit of a mix between meditation and visualization, which I plan to write about in full soon!). The theme of the hypnojourney was "Tending the Inner Garden" where we were led on an inner voyage to discover our Creative Muse. As we were guided into our inner gardens, we were led by our spirit guides (mine is a Cheetah) to meet our potential muses. The first one I met was a blossoming flowering Earth Goddess. I was ecstatic to meet her and was certain she was my muse! She embodied my ideal vision of a Creatrix with all of her colorful, flowing vibrancy and fertility. In the hypnojourney we were asked to send light from our hearts to the being and if the light was returned then they were our muse. As I beamed my light to her with immense joy, she did not beam back. I waited and waited to see if it was really true. Disappointed and confused, I finally accepted that perhaps she and I might have a different relationship but that she was not my Creative Muse. I carried on and after a while, my spirit guide brought me to a dark forest. In the forest I saw a lake surrounded by lush trees. It was a bit spooky. But then I saw a Swan gliding silently beneath the luminescence of the moon. 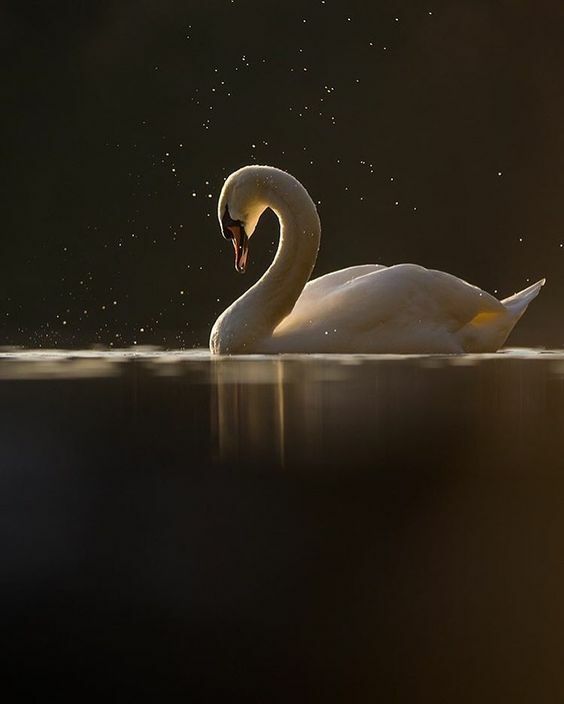 This is when I truly became hypnotized, I watched as the Swan glided effortless with ease and grace in an infinity-shaped loop. My next reaction after seeing this exquisite creature was, she’s not my muse. She’s too elegant and I’m too messy. It can’t be her. I tried to leave and move on to another area but she kept presenting herself in my consciousness. Enchanting me. As the hypnotherapist had instructed, I sent a light beam from my heart to her and to my surprise, she received it. What she did next astonished me. She responded by beaming her light and creating a golden orb beneath the water that radiated into ripples. From there, we were encouraged to offer our muse a gift. I thought what can I possibly give a swan? The hypnotherapist said, "Whatever it is that comes to you first, go with it." So I offered her an eternal rose. When she accepted the rose it was enveloped by her white feathers and left a trail of rose petals behind as she glided. She offered me a gift in return, a thin golden vile with an elixir to transcend time (WOW). The last thing I heard before I woke from the hypnojourney were two words, “Swan Dive”. And that’s exactly how this next stage feels. Hand in hand, step-by-step we journeyed into the cold ocean water towards the setting sun. This moment was overwhelming, I was brimming with joy and tears. Letting go is a mostly difficult and very necessary thing to do. That evening I saw how Mother Earth so graciously let's go of the sun. With love trusting that it will return the next day. And so I must summon my willpower to surrender too. It's going to be a windy journey with plenty of up's and downs. But I'm no longer running and hiding, I’m ready to go all in. P.S. 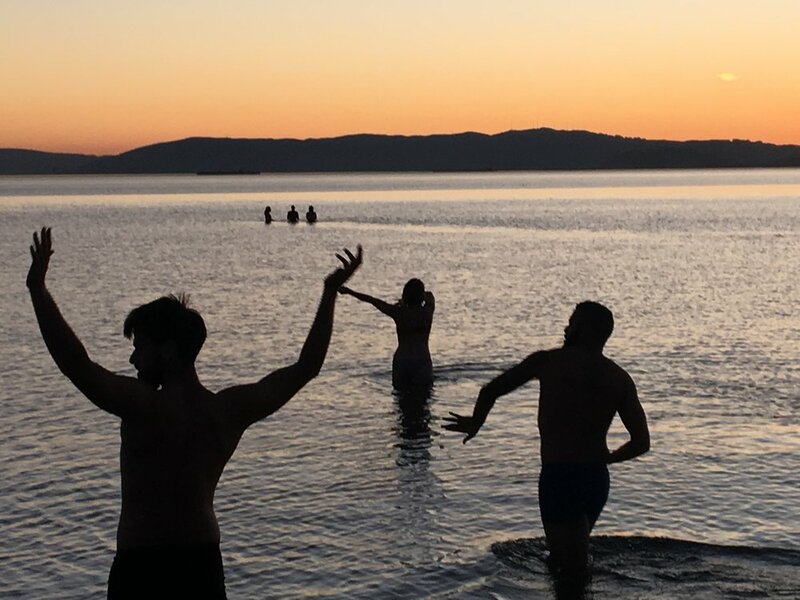 Join Follow the Water for more "H2Flow: Sunset Water Dance" in Alameda, California. If you're curious to learn more about Healing Hypnosis or want to schedule a virtual hypnosis session, email me hi@kelseykwong.com and I'll put you in touch.